Bombargo drops a vibrant splash of soul on their funky indie vibes with layers of rock and R&B infused throughout. The band brings an unrivalled energy to the stage with sing along anthems, magical harmonies, and a powerful message that combined; make for one of the most passionate live shows ever! Even billionaire and Virgin Records founder Sir Richard Branson was impressed, quoting: “I haven’t seen this type of energy since The Rolling Stones!”. Taylor Swift also has a soft spot for Bombargo, adding their single ‘Mr. No Good’ to her Spotify playlist ‘Songs Taylor Loves’ alongside Ed Sheeran, Camilla Cabello, and Kendrick Lamar. Being part of this star-studded playlist saw Bombargo featured on CBC’s the Q, NME, Exclaim, Fashion, Noisey, People, Billboard and more – leading to their follow up single ‘All the Same’ which reached #1 on Spotify’s Indie All Star playlist. There’s no doubt that Bombargo is one of the hardest working bands in Canada, setting out for their Spring Fling tour across Canada, releasing yet another single, and recording their 2nd full length record while shooting their feature length film set to coincide with the release. The award winning Bombargo brings a vibrant splash of soul to their funky indie vibes with layers of rock and R&B infused throughout; they’ve created a sound that truly moves and grooves, inspiring the world to feel their music. Opening for legendary acts like John Butler Trio, Michael Franti & Spearhead, The Dead South, and Joel Plaskett, the band has been rapidly making a name for themselves with their unrivalled live show, groovin’ hooks, and The Good Time Guarantee™. Bombargo received massive acclaim when pop icon Taylor Swift added their 2018 single ‘Mr. No Good’ to her Spotify playlist entitled ’Songs Taylor Loves’. which featured artists like Ed Sheeran, Camilla Cabello, and Kendrick Lamar. Being a part of this star-studded playlist saw Bombargo featured on CBC’s the Q, NME, Exclaim, Fashion, Noisey, People, and Billboard. The aftershocks of this exposure have been monumental and set the stage for Bombargo to become a household name globally. Following up on the success of ‘Mr. No Good’, the band dropped their new single ‘All the Same’ in June of 2018 which reached #1 on Spotify’s Indie Allstar playlist. Their latest single ‘Oxygen’ released in August 2018 has landed itself on several new music, indie, and pop playlists and it’s music video features Instagram/Youtube celebrity @Dreaming_Outloud. Bombargo has had quite a year; breaking 1 million streams on Spotify, receiving over half a million views on Youtube, and was nominated as the Saskatchewan Music Awards “2018 Pop/Rock Artist of the Year”. The group was originally formed by Nathan Thoen and Spencer Chilliak after the two met and spontaneously decided to drive 16 hours to attend Sasquatch Music Festival. The duo found songwriting together effortless and wrote their debut single “Let it Grow” (Back on Main, 2015) during their very first writing session. Bombargo’s debut EP “Back on Main” would go on to be included in “The Top 10 Best Saskatchewan Albums of 2015” by SaskMusic, further inspiring them to continue writing, touring, and releasing multiple singles and CD’s. The group has since evolved into a larger touring band thats bought new possibilities to Nathan and Spencer’s vision. This revived 7-piece lineup adds keys, saxophone, and massive 4-part harmonies; allowing them to grow their epic live performance while pushing their creativity in the studio. 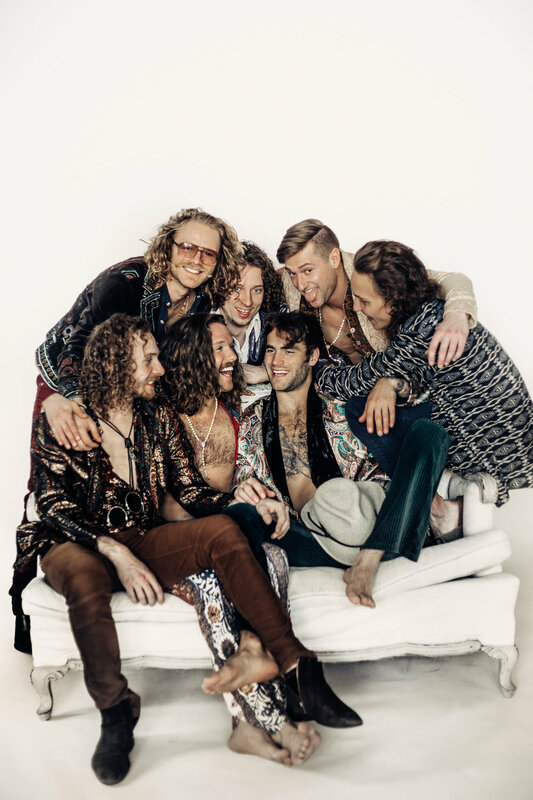 Bombargo brings an unrivalled energy to the stage with sing along anthems, magical harmonies, life changing power hums, wild acrobatics, and heartfelt messages that combined make for one of the best live shows on planet earth. 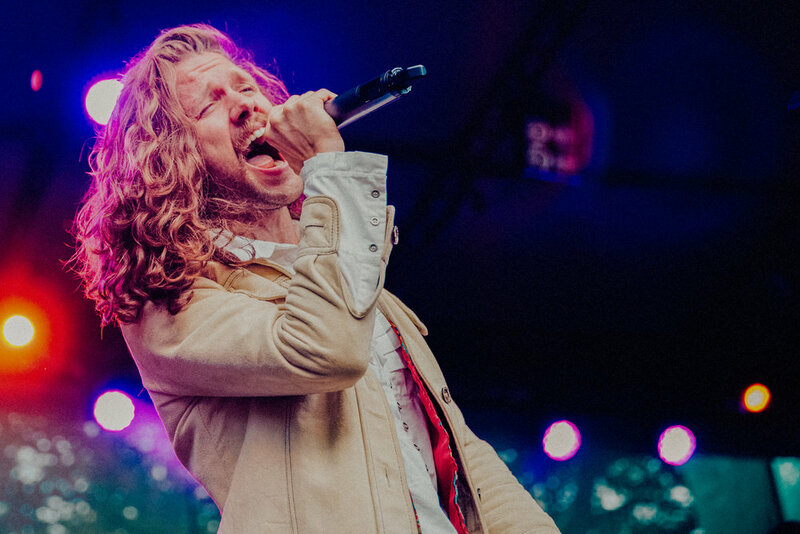 With frontman Nathan Thoen's passionate conviction and contagious ‘Jagger like’ dance moves, even billionaire and music industry icon Sir Richard Branson was impressed, quoting “I haven’t seen this type of energy since The Rolling Stones.” … and he would know, having personally signed The Rolling Stones to Virgin Records. Since their inception, Bombargo has always remained a conscious band with a focus on giving back and making the world a better place. 100% of sales for their first EP ‘Back on Main’ were donated directly to victims of Saskatchewan Forest Fires in 2015. Their song ‘Heroes Never Die’ was written as a tribute to Michelle Curtis who tragically passed away after rescuing over 8 drowning children in Nova Scotia (Full Story on CBC), and in 2018 Bombargo wrote and released the single “Share the Light” in tribute to those lost in the tragic Humboldt Broncos accident; donating 100% of sales to the families affected. Bombargo provides the perfect balance of conscious good times and wild energy recharging fun; reminding everyone how magical this life truly is and how each of us have the power to come together and use our light to make this world a better place.